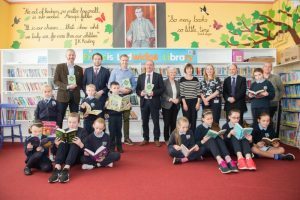 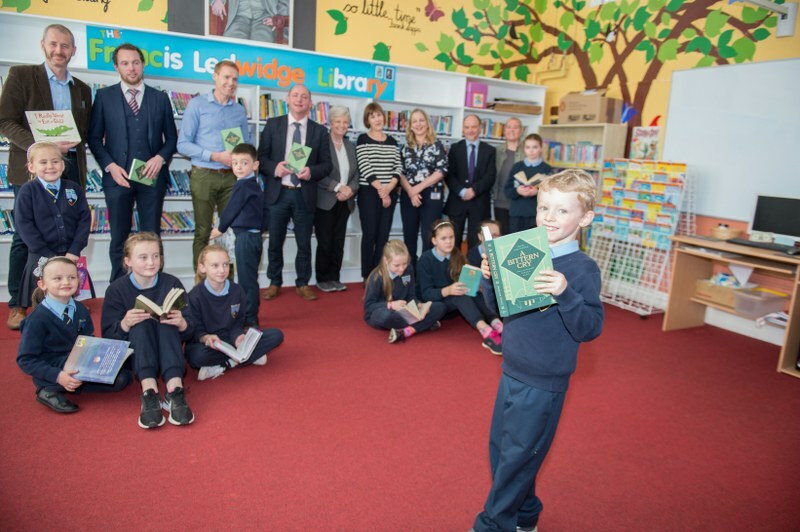 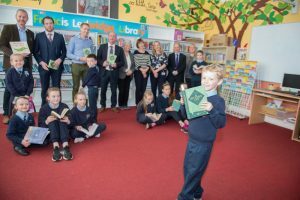 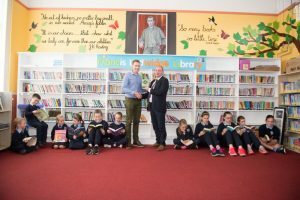 Our school library was named The Francis Ledwidge Library this week as part of the 100th anniversary commemorations of our local poet and war hero Francis Ledwidge. 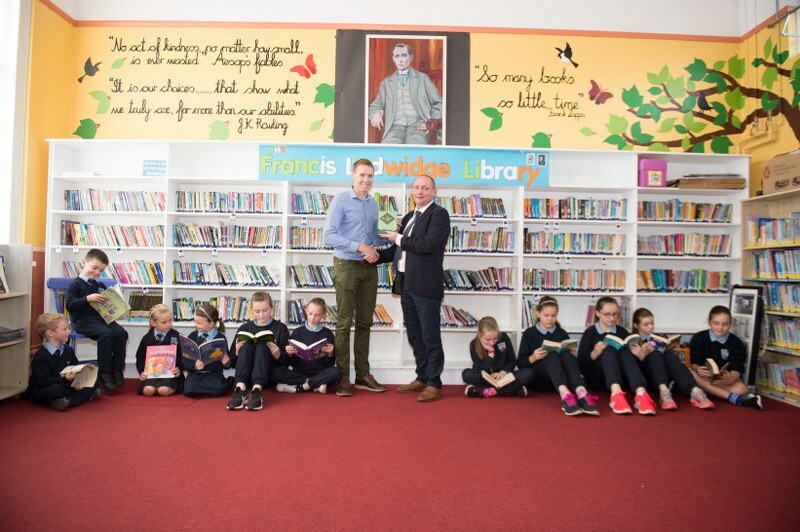 We were very fortunate to receive a donation of books from Meath County Library worth over €2,500 towards the event. 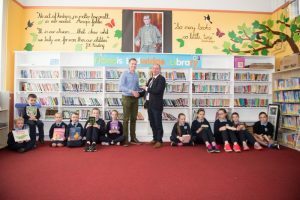 The books were organised by Dympna Herward from Meath County Library and sent to our school last week along with a beautiful framed illustrations of his life and a painting of Francis Ledwidge by KT McCafferty, which is on loan for the next few months. 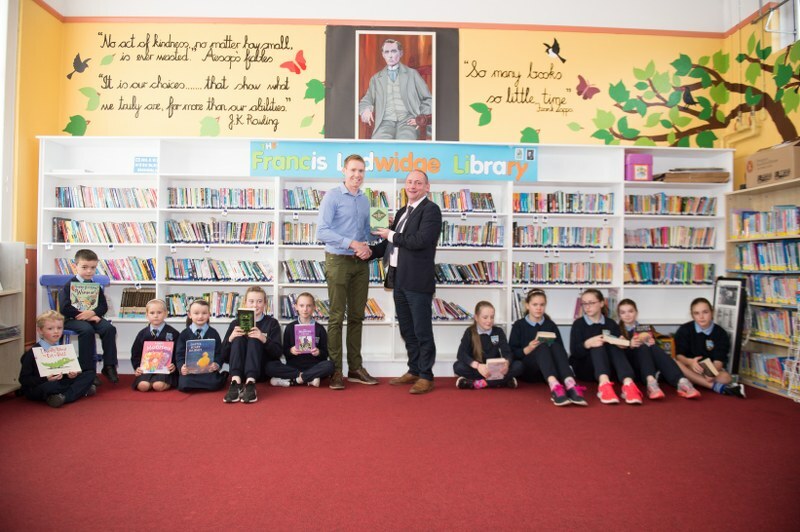 Our school librarian Janine, assisted by Tracey Flynn, were extremely busy cataloging the books this week along with Davy and Mrs. Reilly who organised the library for the ceremony. 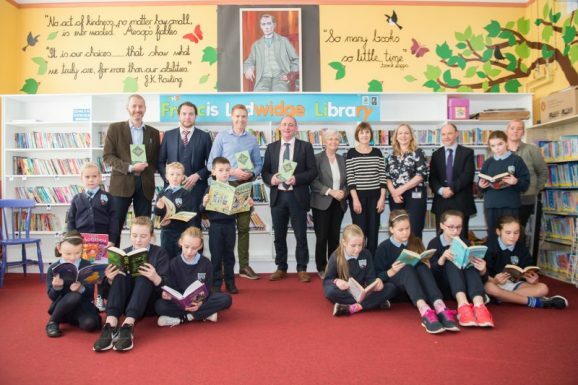 There were many guests in the school on the day including Ciarán Mangan, Meath county librarian, who was instrumental in organising the event, Fiona Lawless, Slane area manager of Meath County Council, our local librarian Margaret Carolan, councillors Wayne Harding and Paddy Meade who were instrumental in securing the funding and those mentioned above. 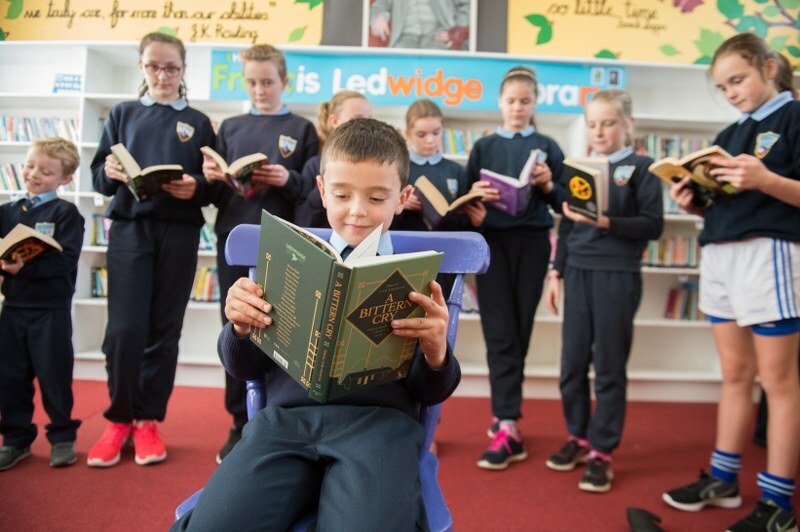 After the ceremony, the guests joined the school assembly and Wayne (who is also a parent to two of our pupils) spoke to the children about Francis Ledwidge, the donated books and his own time in Slane N.S. We will have a reading challenge for pupils after the mid-term break to get their heads into the new books!